BISS CH. 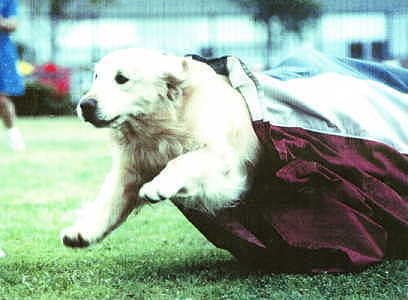 HONOR'S LETS GO TO THE HOP SDHF OS "COOPER"
CH. MCBEAR HONOR'S NO WEST F 'TH' WEARY CGC "CHAPS"
For his first two Points, Chaps roped himself a Best Of Breed, then corraled thecompetition for Back-To-Back FIVE POINT MAJORS, by taking WD & BOW at the Dallas Ft. Worth GRC, then WD, BOW & BEST OF BREED over BIS winning specials the following day, finishing in ONLY NINE SHOWS, first points to last. 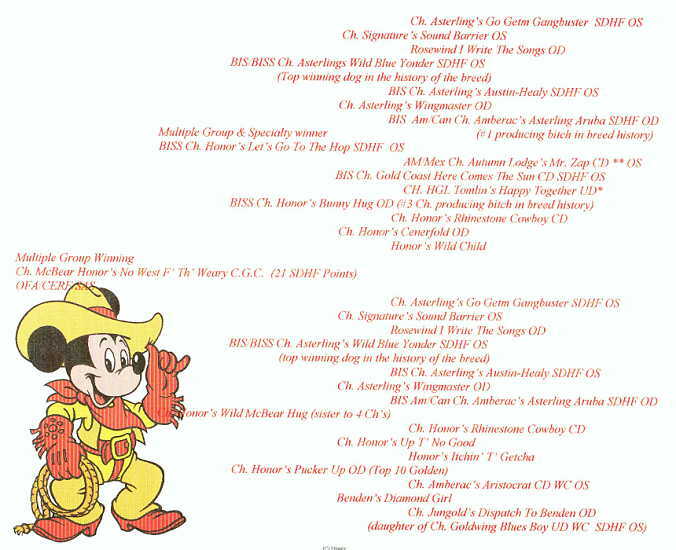 He's gonna get giddy up to the specials ring when he's older since his young'n is ONLY SEVENTEEN MONTHS OLD. 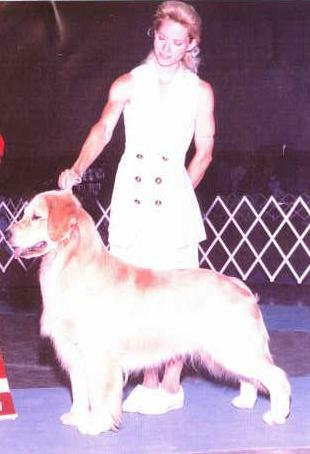 CH HONOR'S N' DARE POWDER OF FAITH "MR. COLBY"
Mr. Colby...finished his Championship January 4, 1998 under Mrs. Adelene Pardo when he was 19 months and 5 days old. 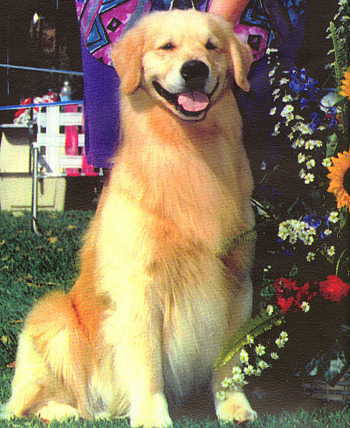 A beautiful "correct" dog, with full dentition and a perfect scissors bite, Mr. Colby carries a dense, medium gold coat with cream feathering, a "wash and go" dog with no need for foo-foo. His movement is excellent with powerful, smooth reach and drive, emphasizing a good front, shoulder layback and balanced angulation. 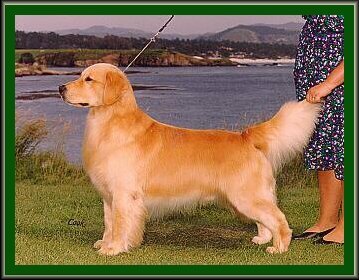 Dark, non-fading pigment, short coupled with a smooth topline and 23" Mr. Colby is the personification of the standard, showcased by his temperament, the "hallmark" of the Golden Retriever. This wonderful temperament together with drive and energy gives Mr. Colby an undeniable ring presence, his ability to self-stack makes him a real showman. After he gets his UD, watch for Mr. Colby as a Special while he campaigns for an OTCH. INT.MEX.AM.CH. HONOR'S GOTTA PLAY TO WIN, SDHF,CD,NA,TDI,CGC,PC "BAILEY"
Owner handled to ALL his titles (except for two Group Wins) "BAILEY" epitmizes what this breed should be all about: a Loving Companion/Pet and so sweet and good natured in all situations at all times! Have you seen those bumper stickers at the shows proclaiming "A Well Balanced Dog Has Titles At Both Ends"? That's "Bailey"! 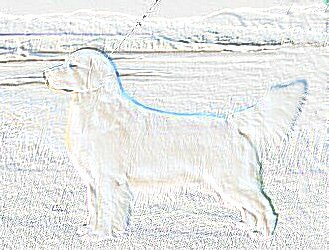 We are working on more titles and in our travels, "Bailey" always gathers many admires for our wonderful breed. 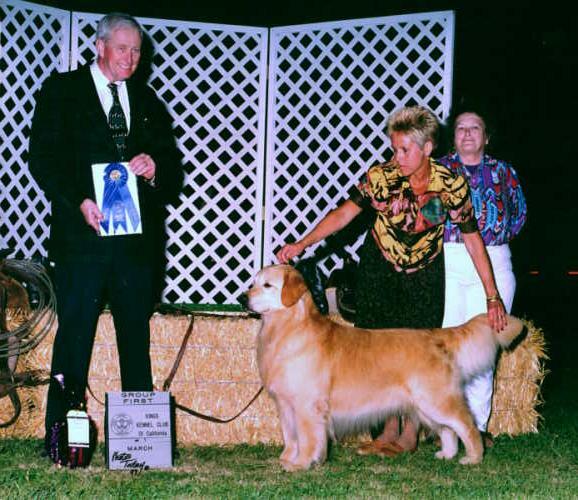 ----- From his Owners BOBBI SEVIER & MIKE SEVIER, DVM., JAMUL, CALIFORNIA SIRE: The Late All-Tome great Top Winning golden of all time: BIS BISS CH. ASTERLING'S WILD BLUE YONDER S.D.H.F.O.S. (51 Best In Shows) 94+ Champions. DAM: CH. HONOR'S AIN'T WE GOT FUN? - Certified Therapy Dog Working for Special Olympics. 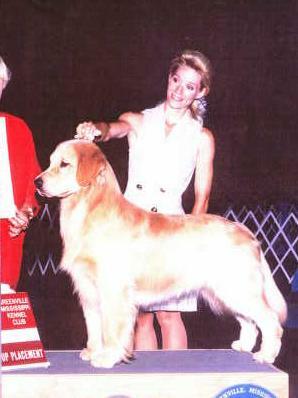 Bailey's Mother only Produced 5 Living Puppies, of which 4 are Champions, and his brother CH. 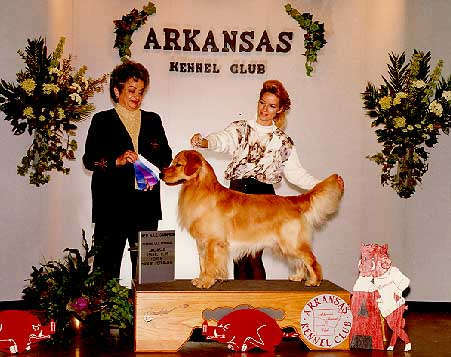 HONOR'S GOTTA MAKE MY DAY, SDHF, is a Multi Best In Show, Group Winning Golden with over 120 Show Dog Hall Of Fame Points.